Great party. But no gatecrashers allowed! 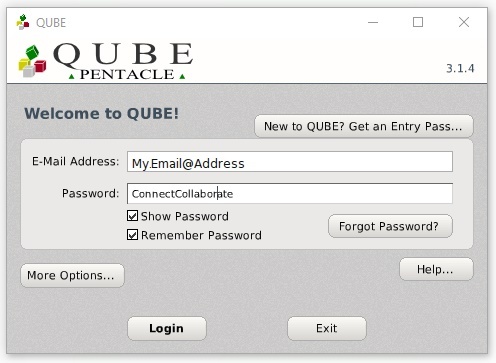 To get on QUBE you will be asked for your ‘Entry Pass’ (e-Mail Address and Password). You will be issued an Entry Pass within 24 hours. This will be for ALL events on QUBE. You do not need a new pass each time.